The AN/FPS-118 was an early warning radar system designed to detect low-flying enemy aircraft. 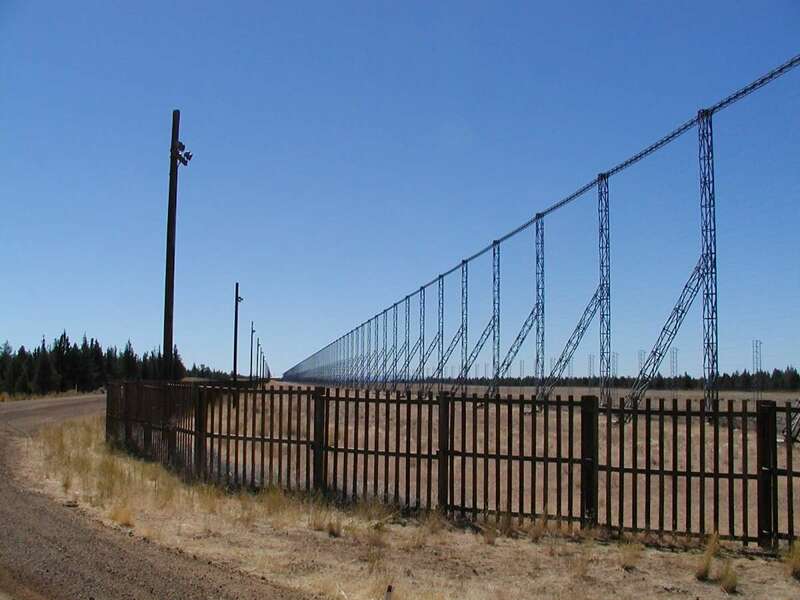 It is a bistatic and FMCW Doppler radar operating in HF-Band as Over-the-Horizon Backscatter Radar System (OTH-B). 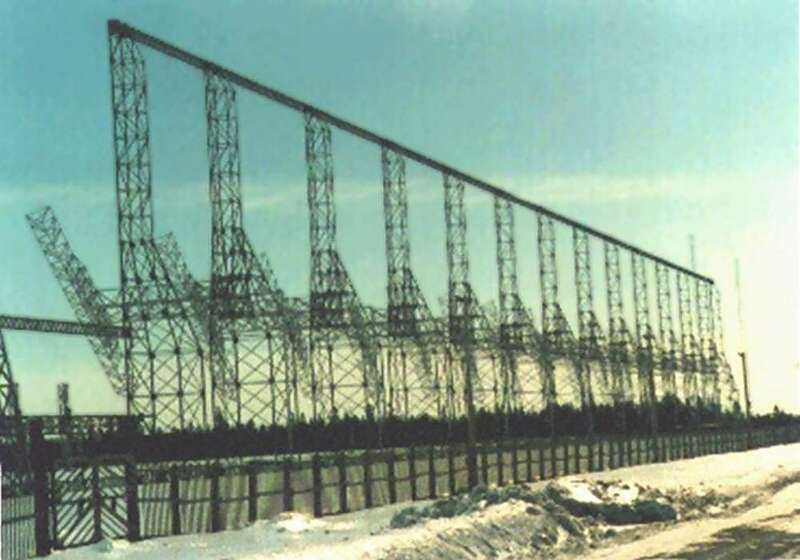 This radar was developed in the 1970s and 1980s to provide all-altitude, long-range surveillance of aerial approaches to the United States. Each AN/FPS-118 system consists of an operations center, a receive site, and a transmit site, all geographically separated to prevent interference. The AN/FPS-118 system employed a series of large transmitter arrays that fired off signals which bounced off the ionosphere, are backscattered by an airplane and sent a signal back to the equally large receiver arrays. AN/FPS-118 covers a 60 degree arc between 900 to 3 300 km. 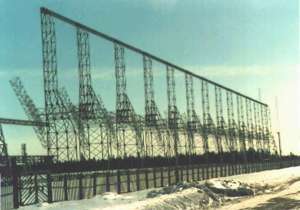 The transmit site of a given AN/FPS-118 was located near Moscow, Maine, USA (45°09'39.4" N 69°51'17.1" W). The associated receive site was near Columbia Falls, Maine, USA (44°42'33.2" N 67°43'41.5" W). 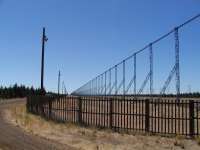 All OTH-B radar transmitter and receiver facilities have been demolished.